In order to become a Chartered Global Management Accountant (CGMA), you need a minimum of three years' verified relevant work-based practical experience. The practical experience requirements (PER) are an essential part of the CIMA Qualification and CIMA’s membership application process. They complement assessments and demonstrate your ability to apply your knowledge and skills in the context of your professional experience. Your PER application will be assessed to determine whether you have gained sufficient experience to be awarded Associate membership – giving you the associate chartered management accountant (ACMA) and Chartered Global Management Accountant (CGMA) designations. PER has been updated following the launch of the 2015 CIMA Professional Qualification. The updated requirements are aligned with the syllabus and assessment, and are based around the CGMA Competency Framework. To help you chose your application route, please see our advice below. Start recording your experience under the updated PER. You will be able to link your learning from the syllabus and development of skills and experience through the CGMA Competency Framework. If you are at Operational or Management level in the Professional Qualification, you will by now be familiar with the CGMA Competency Framework. Start recording your experience under the updated PER against the framework. Depending on how much experience you have recorded so far will determine whether you use the existing or updated requirements to have your experience assessed. We recommend using the updated PER to record any future experience and start work transferring over your pre-existing experience in to the new system under the updated requirements. You’re in the best position to pull together your experience under the updated requirements and system. You should be familiar with the CGMA Competency Framework. Take a look at our guidance and begin recording your experience today. As you have been recording your experience as you progress through the qualification, we recommend continuing with the existing process to ensure you progress to membership as quick as possible. Depending on how long since you completed your studies, you may wish to continue with the current PER and application process. As you have a partially completed application, we recommend continuing with the existing process to ensure you progress to membership as quick as possible. As you are familiar with the existing PER and application process, we recommend continuing along this route to ensure you progress to membership as quick as possible. My circumstances aren’t covered above Please contact our customer service team to find out how to proceed. 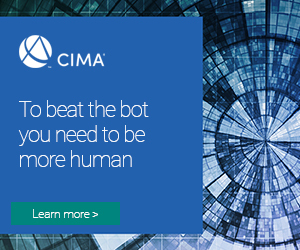 Why has CIMA updated its practical experience requirements? We consulted with leading global businesses to ensure our syllabus and assessment is robust and relevant to their present and future requirements. We asked them what competencies they require to drive better business, and as a result of this, we developed the CGMA Competency Framework. 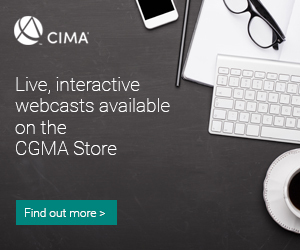 The Framework shows the skills and competencies that Chartered Global Management Accountant™ (CGMA®) professionals need to help drive the success of their organisation. The CIMA Professional Qualification syllabus and assessment and our updated PER are driven by now fully aligned through the the CGMA Competency Framework, ensuring that you are equipped with the skills and competencies businesses need.